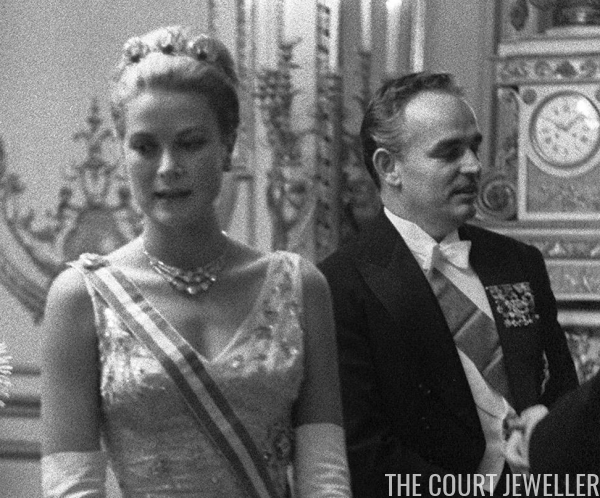 Although she was one of the most glamorous princesses of her generation, Princess Grace of Monaco's jewel collection was actually rather sparse. 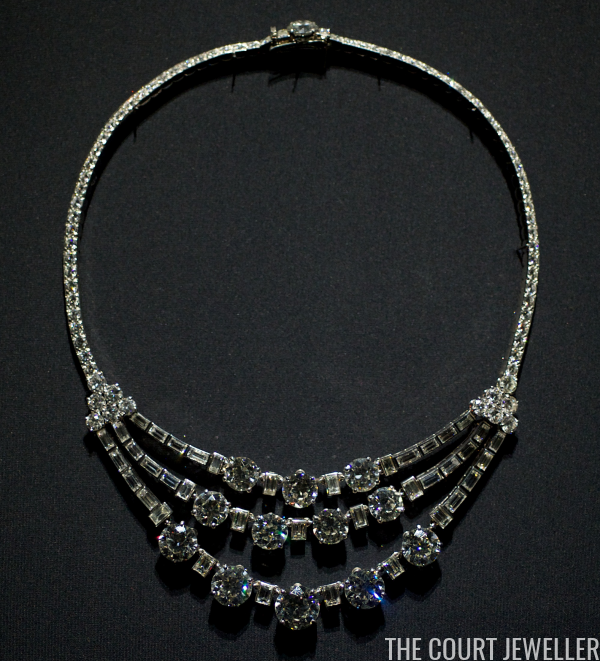 But some of the pieces she did have made a big impact, including this diamond festoon necklace. Made by Cartier, the three-stranded diamond necklace is designed as a festoon, with a triangular section gathering up the strands on either side and terminating in a single row of diamonds. Both round and baguette diamonds are used in the piece's design, marrying traditional and modern aesthetics. During her lifetime, Grace paired the necklace with various other jewels, including the diamond and ruby Bains de Mer Tiara (more on that one here) and her all-diamond tiara. Above, she wears the necklace with the Bains de Mer for a dinner at the Elysee Palace in Paris in October 1959. Today, the necklace is owned by the Palais Princier collection, and it's frequently loaned out to various museum exhibitions. This is one of Grace's jewels that I think would look fantastic on her daughter-in-law, Princess Charlene. 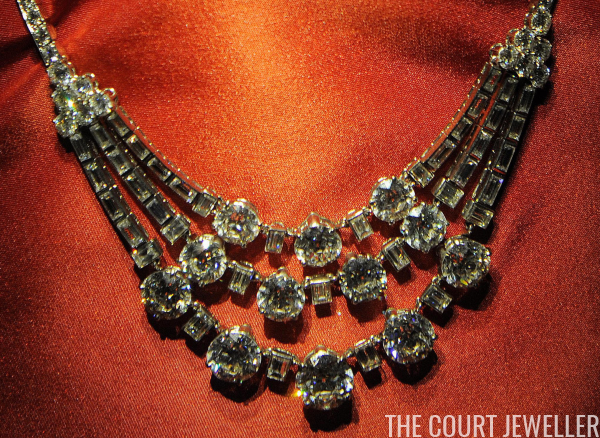 I'd love to see Charlene wear the necklace at one of Monaco's glittering social functions in the years to come. 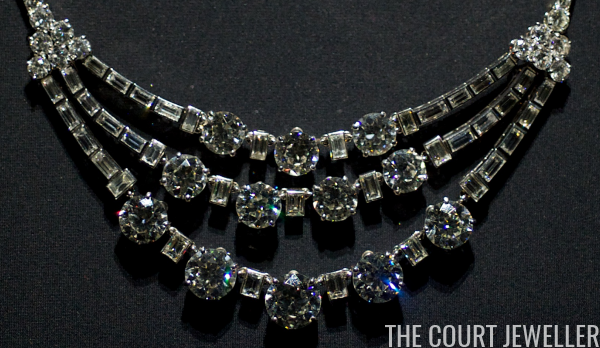 See more of Princess Grace's jewels here!